These Distinguished Pens Made of Copper, Brass or Aluminum. Fitted with the Original Teak Decking of either the USS North Carolina or The USS New Jersey. 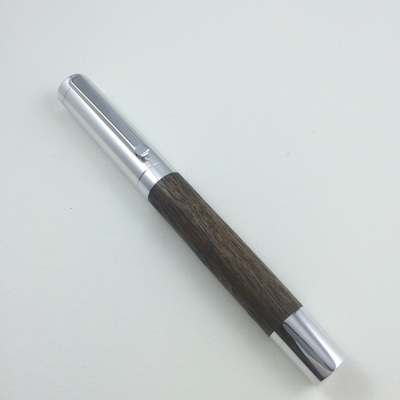 Owning a Piece of History in this Heirloom pen designed to last for Generations to come. The Metal and the wood have been left bare with no finish so you will actually be feeling the wood when you write with this exquisitely precision made and balanced pen! The 'Solid' 101 ~ A superb fountain pen Made from Copper, Brass or Aluminum. A well balanced fountain pen that puts the weight forward onto the #6 Bock Nib. This pen is a show stopper within the Fountain Pen Community. Simple and elegant and polished to a mirror finish. 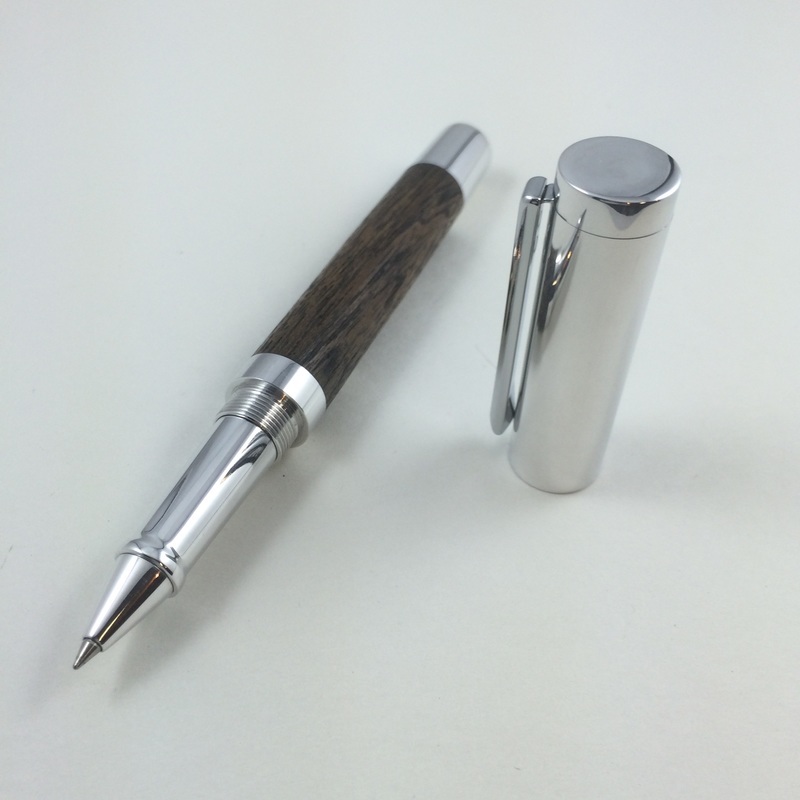 As is with most "BFD" pens, this one is left bare with no finish applied. You can look forward to your pen developing a very colorful patina or you can keep it in it's showroom brilliance with an occasional wipe down with a jeweler's cloth. The Distinguished Gentleman is a brilliantly understated Roller Ball Pen that will amaze you at it's smooth deftness in your hand! Made from 7075 Aero-Space Aluminum with Tellurium Copper Accents. It is beautifully balanced and light enough for everyday carry. But if you loan it out for a quick signature... be sure to keep the cap in your hand so that you know your pen will be returned to you and not walk out with your envious friends!